On Friday 17th June Yunus Centre hosted a workshop ‘Still Living and Practicing Social Enterprise’ here at GCU. It was the second in what we hope will be an annual event that considers the potential for ethnography to explore questions emerging from the field of social enterprise research.We heard from: Anna Kopec, University of Northamption; Richard Hull, Goldsmiths; Aurelie Soetens, Univeristy of Liege; Iain Cairns, Glasgow Caledonian University and Juli Qermezi Huang, London School of Economics. Thanks to all the presenters and the engaged audience that made for an interesting and inspiring day.In this blog Danielle and Clementine from the CommonHealth team reflect on a second key theme from the day that resonates with our own work which also uses ethnography. We’ve been mulling over one of the comments from the audience at our Ethnography and Social Enterprise event on 17th June 2016. We were encouraged to think about what is ‘unuttered’ within organisations, to observe surprises and spontaneity and to embrace that this would be an inevitably messy process. In the specific context of social enterprises it is important that researchers consider: complexities of relationships; emotional responses; policy; practice; rhetoric and reality within a whole range of different actors. The question then becomes, how do we present our findings so that they are convincing and useful? The fieldnotes of ethnographers include typed, written and scribbled notes, photos, diagrams or physical artefacts. It can be messy and daunting for the researcher! We must then step away from the field in order to begin to explore ways to understand what we have seen and identify the best way for us to structure this for an audience. The style of ethnographic writing allows for some of this ‘messiness’ to continue as we weave a narrative throughout our presentations, papers, articles or thesis. This was shown to great effect in a number of the presentations that relied on powerful descriptive vignettes that gave some structure to the messy data that is generated. The vignettes used highlighted the tensions and contradictions within the field, raised questions and peaked interest before delving into the significance of the events described and putting them in a wider theoretical and empirical context. Ethnography allows us to consider the messiness of the world around us, forces us to recognise that which goes unsaid and can generate descriptive and detailed accounts of people, places, events or organisation. This is important in the field of social enterprise to allow for nuanced analysis and space for a critique. It also addresses the need to recognise the importance of a smile! Though subtle, this is an important impact, as defined by one of the social enterprises present at the recent Knowledge Exchange Forum (see here), and so we should find ways to capture and present this type of impact. Ethnography, in all its wonderful messiness, might be one such way we hope to do that! Thursday 5th May might have been a significant date in the calendar for Scottish politics, but more importantly it was also the date of our Knowledge Exchange Forum in Inverness. The event invited an audience of social enterprise practitioners, academic researchers and associated organisations to share their thoughts and ideas of social enterprise and its links to health and wellbeing. A massive thank you to everyone who attended and shared their views, and a special mention to the Highlands and Islands Enterprise (HIE) for their support and input! The presentations from Calman Trust, Eden Court, and Highland Blindcraft reflected the diverse ways in which social enterprise has become both a structure -around which you can build an organisation- and a tool -which third sector organisations can make use of to fulfil their social missions. For example Calman Trust operates the social enterprise Ness Soap and Cafe Artysans; Eden Court is a publically funded arts organisation that uses elements of social enterprise in its practice; Highland Blindcraft has existed in one form or another for 140 years. Currently it operates as a charity limited by guarantee and has been variously labelled a social enterprise, and a supportive business. People and organisations who want to create social change and generate social value don’t worry too much about what they’re called. For many organisations, if ‘social enterprise’ is a title which might bring in funding to help their users, then they’ll happily slap ‘social enterprise’ stickers on everything. But equally, if the funding flavour of the month is ‘social business’ or ‘charity’, then that’s the name they’ll use. Participants’ commitment to their social purpose was prioritised over the label used to describe their work. This raises questions for academics like us at Commonhealth, and suggests that we should perhaps think of social enterprise as a set of processes that organisations use, rather than a group of organisations that share common characteristics. In turn this leads to further questions for policy makers and the support that should be in place for social enterprise. For those of you interested in this discussion you may be interested in Simon Teasdale’s upcoming professional lecture: What’s in a name? Several of the discussions throughout the day picked up on concerns that practitioners were witnessing increased levels of vulnerability, especially in connection to young people and youth unemployment. In this context the imperative to balance the ‘business’ elements of a social enterprise with its social purpose, becomes an ever more delicate balancing act; and for some this was likely to become a central challenge for the sector in coming years. Social enterprises therefore felt that while they could not hope to solve all the problems they faced, they could help to make young people more resilient and able to cope with the challenges they faced in the future. When discussing support and vulnerability, often what can be neglected are the effects that social enterprise activity might have on its founders, board members and managers. When individuals volunteer their time and energy into creating and building their social enterprise we can forget to consider the impact that this might have on their personal and family life, and the sacrifices that they have to make. This can be in terms of personal finance, lack of time spent with loved ones and having to work long and anti-social hours to make things work. Yet support for such groups can be scarce. Social enterprises frequently need to prove (or attempt to) the outcomes of their work. Practitioners from the numerous organisations in attendance could relate to us the pathways that individuals had taken through their organisations, but often felt that these stories alone were not taken seriously as evidence of their impact on health and wellbeing. Often the most small and subtle changes were felt to be the most powerful. In environments where social enterprise practitioners are working every day, the most satisfying aspects might be simply putting a smile on a young person’s face. Yet, not only is it difficult to measure the value of a smile, it may not be what funders are interested in anyway. There are ways of measuring impact (e.g. 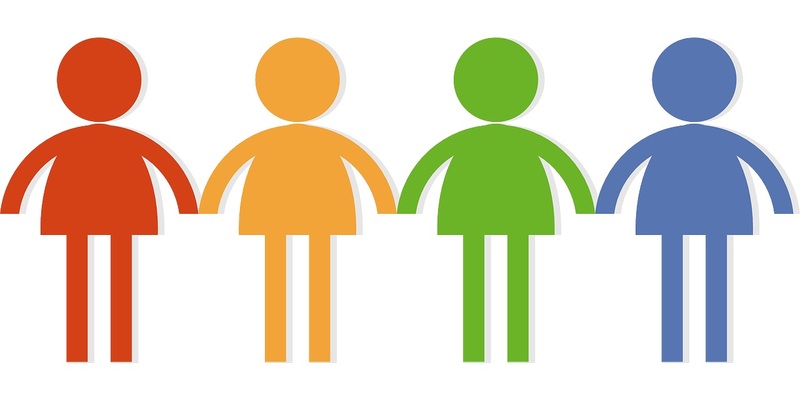 SROI or Social Audit) which may give a snapshot of the social value of a social enterprise. However, such measurement can be tough when funders want hard numbers not stories, or can’t think about long-term outcomes beyond the funding period. Moreover, what was commonly found was that measures do not always account for major differences in social enterprise type and scale. For example, a community centre might benefit 1,500 community members, yet a childcare service might only benefit 5; and each activity impacts to a variety of different levels. Therefore, how can measures be truly representative of how people are individually affected? Taking all of these insights into consideration we have a lot to keep us busy until the next event! ‘Our freedom to choose one bundle of commodities rather than another may have an important effect on the living standards we can have, the happiness we can enjoy, the well-being we can achieve…The perspective of freedom, with its diverse elements, is much too important to be neglected in the making of food policy.’ Amartya Sen,1987. Professor Capewell is particularly concerned about how widely and effectively industries can fight health policy. 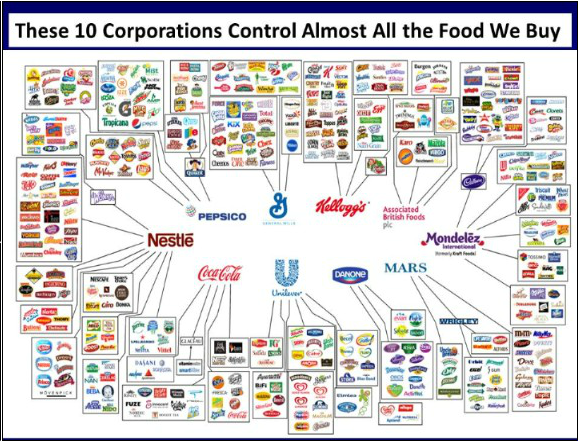 He ran through some worrying facts about the food industry, including that most of the food in a packet that we buy in the supermarket originates from one of only 10 huge multinational organisations (see picture above). Pepsico alone has a global annual turnover of over $65billion, greater than the individual GDP of over 100 countries. Professor Capewell argued that these companies are very powerful, and hence their tactics to undermine strong research evidence and influence governments through lobbying can be particularly destructive to the common good. The food industry matters greatly to public health. Across the conference it was shown that diet-related deaths are higher than alcohol and tobacco-related deaths combined, and that diabetes has more than doubled in males in areas of highest deprivation. But thankfully all is not lost. In her blog for the Guardian last year, Ilana Taub stated social enterprises are making a difference throughout the food cycle in the UK, and evidenced her statement with examples of social enterprises growing food, distributing food, making & eating food together, and dealing with food waste. Taub believes social enterprise is making the food system in the UK more socially just, and highlights the importance of food not only as source of good health but also as a social process which creates bonds between people. Such intangible community bonds are embedded in our relationship with food and our cultural & social traditions, most of which revolve around locally-produced in-season or easily stored crops. For example, St Andrew’s Day is almost upon us and many of us will sit down to haggis, neeps and tatties, whilst in the USA Thanksgiving celebrations will see families and communities come together to eat a traditional meal. Picture Source: Capewell, S (2015) Securing Scotland’s Health by Pills or Policies? Presentation at Faculty of Public Health Conference Securing Scotland’s Health, 5 – 6 November 2015, Peebles Hydro. Posted on November 13, 2015 November 13, 2015 Author fionahenderson1Categories Age UnlimitedTags conference, food, health, policy, public health, social enterpriseLeave a comment on Food…Glorious Food? Is social enterprise a threat to community development? This was a question thrown at us when Alan Kay (a partner on the CommonHealth project) and I presented at the Community Development Journal conference in Edinburgh a couple of weeks ago. The conference was an exciting mix of the old guard- seminal community development practitioners and academics, and those newer to the field (including myself). There was also really good attendance from people from overseas organisations and universities to offer international experiences and perspectives. The Community Development Journal (CDJ) arranged the conference to celebrate its 50th anniversary and the first plenary session sought to reflect on this history. I was interested to hear that it was borne out of the development workers returning from the newly independent colonies who wanted a space to reflect on their practice and how it might be relevant to the UK context. Other plenary sessions made reference to the Community Development Projects of the 1960s which were state owned and state controlled. Despite this, many of the community development practitioners involved were able to subvert the projects and rather than align the outcomes to the government principles at the time delivered a structural analysis of the lives of those living in deprived community. Eventually the project was pulled and yet, as pointed out by one of the conference attendees, this analysis is as relevant now as it was in the 1960s. I have gone slightly off topic, but this potted history is merely to illustrate the established and varied nature of the audience Alan and I had to contend with. We were aware that there would be some scepticism regarding the value of social enterprise and how comfortably (or not) it would work alongside community development practices. Despite our concerns, and the inevitable scepticism, it was a well-received session with a number of interesting debates and discussion (none of which were fully resolved!) and gave us lots to reflect upon as the CommonHealth project proceeds. There is potential for social enterprise to address social isolation, a core part of health and wellbeing. It can also encourage community participation but it depends on the structure of the organisation. It is important for people to be considered as more than a service user and instead be actively engaged as members. However, this is also what good community development can do, so what is unique about social enterprise’s contribution to improved health and wellbeing? Some have assumed that social enterprise can be a positive step towards moving away from grant dependency, while this can be the case it could result in market dependency which can be just as problematic. There was some concern with the potential for social enterprise to represent collusion with the agenda of neo-liberal austerity as services are withdrawn and budgets reduced. Social enterprise could be seen to be justifying or managing this process. Of course we haven’t managed to answer the question of whether or not social enterprise is a threat to community development, but it was very useful to explore these issues with academics and practitioners in this field. What was clear was that just as we have benefited from the collaboration of social enterprise practitioners through the Knowledge Exchange Forums we also benefited from collaboration with this diverse group of academics and practitioners from the field of community development. In answering some of these difficult questions it seems that collaboration of all types is the way forward. Posted on July 17, 2015 July 21, 2015 Author clementinehilloconnorCategories Knowledge Exchange Forum, Passage From IndiaTags collaboration, community development, conference, knowledge exchange forum, social enterpriseLeave a comment on Is social enterprise a threat to community development? This time last year I was getting ready for wedding season, being in my late twenties I think this is how most summers are going to go for the foreseeable future last year I had four, this year I’m down to two and next year back up to three (so far!!) Wedding season means a whole range of different things: visits to various out of the way manors; barns and hotels; wondering what I’ll wear; worrying who I’ll have to sit next to and make small talk with; bets on how long the speeches will be and who will cry first. Of course it also means celebrating the coming together of two loving individuals and all that good stuff, but other than this last bit it’s struck me just how similar wedding season is to the conference season I’m currently prepping for. This summer I’m attending and presenting at three conferences and many of my worries are similar: traveling to new places; planning trains, planes and hotels; packing a million different outfits and wondering if I’ll be too formal/casual; worrying if I’ll know anyone/who I’ll talk to/sit next to at the conference dinner; hoping that presentations I’ve chosen to attend will be interesting and entertaining. These might seem like flippant worries but the ‘important’ worries of how and what to present have been well covered in my practice presentations, discussions with supervisors and advice from peers. 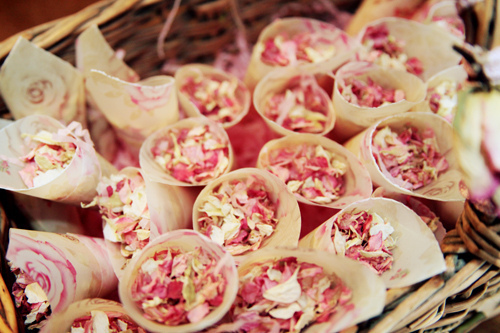 It’s all the other bits I worry about, the flippant stuff that reminds me of wedding season! It’s also these other more seemingly flippant concerns are the reasons why conferences are important. They are a chance to get yourself known and noticed with your peers, potential colleagues and employers. They offer the opportunity to meet the authors of the books and papers that have influenced and inspired your own research. Presenting yourself in these more informal and social settings is something that is important to consider. Don’t be afraid of meeting scholars whose work you know, either. If you’re feeling shy, ask a professor or mutual friend to introduce you. I scan the program for scholars whose work I use and then attend their sessions. I make sure to go up and meet them afterwards and I’ve found people are usually always gracious and friendly in these circumstances. Don’t you find annoying that guy that can’t stop talking about himself and the things he does? Guess what? People won’t like you if you keep talking about yourself. Doesn’t it feel good when people ask you things and want to know more about you? Doesn’t it make you feel a bit important? That you are worth listening? Guess what? People would like the same from you. First elevator pitch: your grandma should understand it easily. This one you will use for non-experts in your field. Second elevator pitch: include all sorts of complicated jargon and be so scientifically correct that your PI couldn’t find a single flaw in your speech. This is for experts in your field. 4. I also found this great ‘what not to wear’ blog that starts with the pros and cons of the ‘definitive white shirt’ and ends with a discussion of Pierre Bourdieu and cultural capital!